Volkswagen CEO Matthias Mueller is under pressure to explain cheating by the automaker in U.S. emissions tests. MUNICH (Bloomberg) -- Volkswagen CEO Matthias Mueller will brief the leadership committee of the company's board today on the findings of an internal investigation as the company struggles to explain cheating in U.S. emissions tests. Mueller will discuss the investigation at a closed-door meeting, people familiar with the matter said. After the scandal prompted the departure of former CEO Martin Winterkorn and the suspensions of three senior development executives, more people are set to lose their jobs amid pressure to repair the company's reputation, the people said. Volkswagen is facing civil lawsuits, criminal investigations and partial sales stops in a growing number of countries after it publicly admitted to cheating on diesel emissions almost two weeks ago. The company said on Tuesday it plans to fix the pollution-control systems. It hasn't specified how many of each type of car are affected, exactly how it'll make the repairs or to what extent the fixes may affect the way the vehicles drive. "That lack of clarity coming from them right now, perhaps it's because they don't know, is worrying in itself," said Stuart Pearson, a London-based analyst for Exane BNP Paribas. "By this stage, investors would have wanted to see a clearer breakdown." Regulators will be informed of a solution in October, Volkswagen said on Tuesday. Affected customers will then be notified in the "coming weeks and months," the company said. Volkswagen has emphasized that its new cars with engines that meet Euro 6 diesel-emissions standards aren't affected. "We've come up with a solution with a focus on the customer," Herbert Diess, chief of Volkswagen's VW mass-market brand, said to reporters in Brussels. "We will rework the software, maybe make minor adjustments to the engine." The extent of upgrades to the cars, and whether hardware components need to be replaced, will depend on the model variant and engine size, a person familiar with the matter said. Interfering with the investigation is internal wrangling over which documents Jones Day, the U.S. law firm Volkswagen hired to investigate the use of a software program to cheat on pollution tests, will get to see, said one of the people, who asked not to be identified because the discussion is private. Some managers have fretted that giving Jones Day full access to documents could result in the lawyers seeing confidential information not linked to the diesel disaster, the person said. Supervisory board leaders will discuss on Wednesday how to ensure the law firm gets the information it needs. Labor representatives including interim Chairman Berthold Huber are pushing for full transparency, the person said. The ramifications of the years-long falsification continue to reverberate through Volkswagen's complex, multilayered management structure. Four to five additional people in the company's technical development teams have been suspended as a precautionary measure to facilitate the investigation, according to a person familiar with the situation. 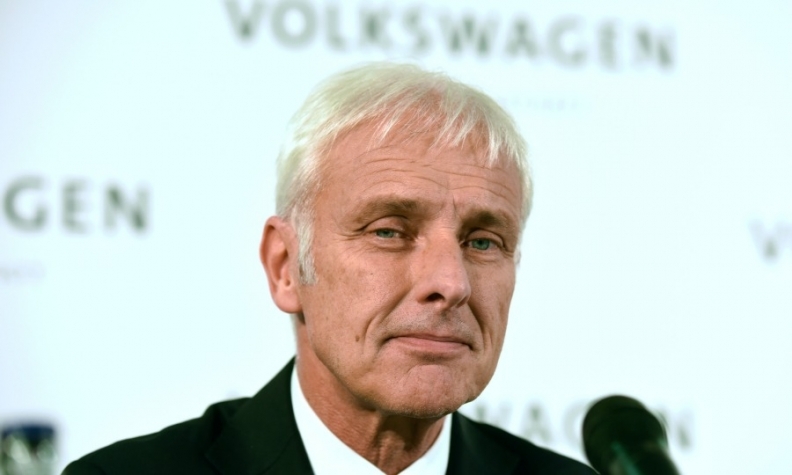 Volkswagen's plan to promote Chief Financial Officer Hans Dieter Poetsch to supervisory board chairman, decided before the scandal broke, has also come under fire. Poetsch's promotion sends "a pretty bad signal to the market, the regulators and everyone who's bringing litigation now against VW," Hans- Christoph Hirt, executive director at Hermes Equity Ownership Services, said. The Porsche and Piech families who control more than half of Volkswagen's voting shares back Poetsch, according to a person familiar with their thinking. The company is looking to fill as many as eight management jobs after Mueller pushed for a restructuring. They include the new role of chief technology officer as well as chief financial officer and brand development chiefs for VW, Audi and Porsche. Lawyers continued to line up to file complaints against the automaker. UK law firm Leigh Day sent a letter to Mueller saying that if the defeat devices were installed on UK vehicles, "this undoubtedly amounts to a misrepresentation and a breach of contract." The rigged emissions-test results were in a type of diesel engine installed in about 5 million VW brand cars, 2.1 million Audi models, 1.8 million VW delivery vans, 1.2 million autos from the Skoda unit and 700,000 from the Spanish Seat nameplate. Affected cars include the previous generations of the VW Golf hatchback and Tiguan SUV.